I often see competitions on Twitter from some of the companies I follow and bloggers. I never seem to win or I find out too late. I spend a lot of time on my pc so I can only but wonder. Now the lovely owner of SheaButter Cottage ran a ReTweet competition on twitter. All you had to do was retweet her tweet and that qualified you to enter the competition. So you know what I thought no harm in trying. Yippee I won a little gift basket that will last me awhile. 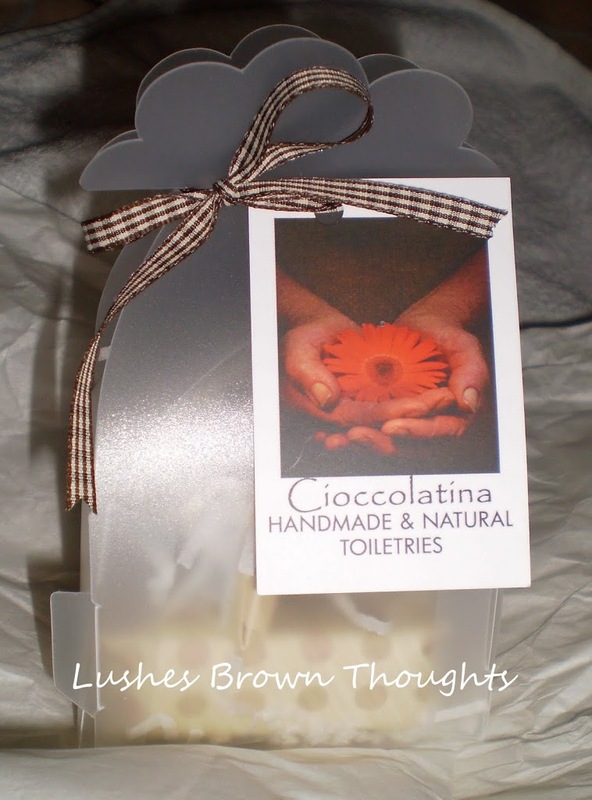 It came beautifully packaged containing L’arabica soap, Coffee Lip Balm and a mini Chocolate bar. It all sounds so tasty. I started using the lip balm already. All products are natural from what I read on the website. I absolutely love stuff like this. Natural ingredients making great products. I hope to place an order for hair products in January. My natural hair does love natural ingredients. Have you bought anything from SheaButter Cottage that you feel is worth a try let me know? Now if only I could win something from Lush via twitter. It is as if they are giving the stuff away just not to me yet.